myMozo Cater helps Restaurant owners to bring their large catering orders at their kitchen without picking up a phone. 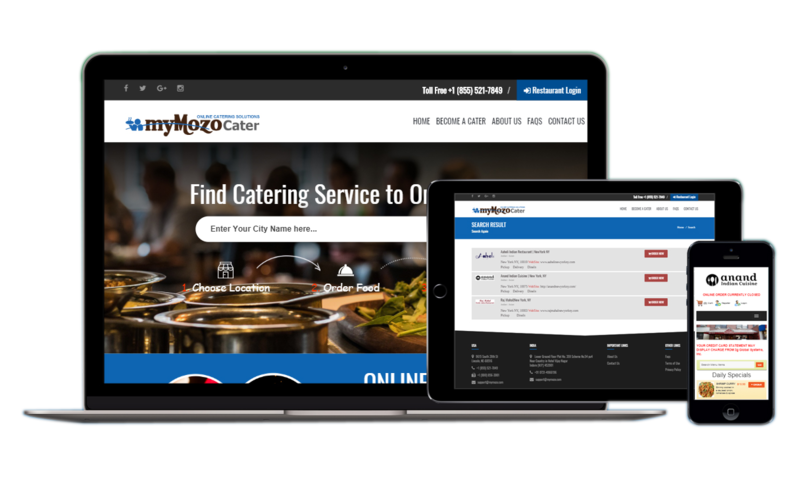 myMozo cater is one of the best product in Restaurant industry to help the customers to order catering online for office, birthday, wedding or any other events and restaurants to receive the order online without any hassel or order error and also manage their online a/c transactions, reporting etc. myMozo partners with restaurants to provide online food ordering capabilities. We develop e-commerce software and custom websites for restaurants that enable customers to digitally and interactively browse a food menu, to place take-out or delivery orders in a shopping cart, and to pay online by credit card via our secure payment processor. According to recent survey by Restaurant Sciences internet marketing study, 50% of independent restaurants do not have a website, and of the other 50% that are on the web, 60% do not have an online menu and 95% are not mobile-ready. Such are the trends that drive myMozo. We advertise your delicious food online and start taking orders!